Picking a scan tool is not simple, and it is always helpful to have a team of experts give you a clear view on what you need. If you are having engine problems, specifically those having to deal with ABS or SRS systems, this is a great option. The Autel Autolink AL619 will give you a clear idea on the different trouble codes that are causing your check engine light to turn on. 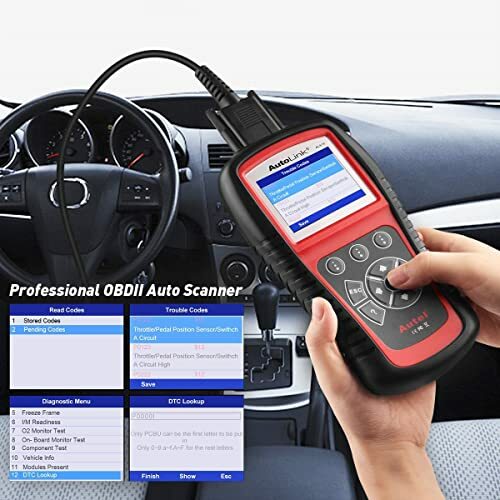 For an affordable price, even the beginner user can navigate the advanced functions of this diagnostic tool. Let’s take a closer look at the Autel Autolink AL619. The Autel Autolink Al619 is an upgraded version of the AL609, but this time with more systems covered. The team at Autel has created a new device that can help you discover the true meaning behind why your malfunction indicator light is on. This time you have more functions loaded, but still for the perfect price with the Autel promise. Additionally, this high-tech device can help compute what is happening with ABS/SRS systems in your engine. Featuring a large, color-display screen, speaker and troubleshooting tips and tricks, this device makes car repairs easy. For an affordable price, you can be well-supplied with all the things you need in order to put the mechanic’s tools in your hands. Primarily, you want to make sure this tool is the best fit for your needs. Now that you have compared the AL619 to other products, it is time to check out the system features and functions. In general, when you are looking for an automotive scan tool, you want to make sure that it is user-friendly. The team at Autel have manufactured this tool with the user in mind. That means you can expect a clear display screen with large buttons and easy navigational menus. With multilingual settings, this device functions for English, Spanish and French speakers. You will have access to vehicle VIN number and important information needed to begin diagnostics. Inside this useful device, the user will have access to read and clear pending and permanent codes from the onboard diagnostics. AL619 ABS/SRS and Wide Codes Diagnosis. With code definition look-up and easy troubleshooting tips, you don’t have to be an expert to understand the code meanings. Furthermore, this tool can turn off the Malfunction Indicator Light as well as the ABS/SRS warning lights. Put simply, this means you can clear pesky lights from your dashboard and reset the internal monitors. The Autel Autolink AL619 can easily display live data from your car and show you specific faults with real-time data. Live data can be computed to show you specific freeze frame inputs of when the problem occurred. Plus, this device can help you ensure you are ready for your vehicle emissions tests with easy access to I/M readiness and O2 Sensor tests. 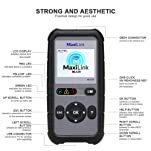 For an affordable price, this device is also set up with bi-directional testing and more advanced features than other basic scan tools. It is equipped with Mode 6 Tests that are more advanced than the traditional 10 OBD tests. Moreover, this tool is internet updateable so you can keep up with the current changes in software. All that said, the most important thing you need when finding a scan tool is checking the compatibility with your car. The Autel Autlink AL619 is compatible with all European, Domestic and Asian cars built after 1996. This device works on most OBD2 and CAN engines built after 1996, covering over 50 vehicle manufacturers. 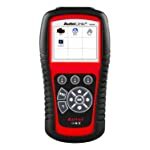 Autel has a reputation for reliable car scan tools that have a strong compatibility with various engines. However, not every model is included in their compatibility, double check with Autel before purchase. Easy to use navigation– Built with a user-friendly interface and push-button navigation. ABS/SRS code reading– Read and clear ABS and SRS codes from your engine. Troubleshooting tips– This device gives helpful hints to solve the problem. DTC lookup– Also includes a database with definitions of common fault codes. One Touch I/M Readiness- Find out your emissions with one click of a button. All features not available on all cars– Double check the compatibility of your engine first! Lack of Customer Service help– Some users have had issues with getting ahold of the help services. 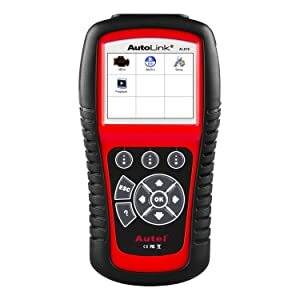 The Autel Autolink AL619 is an upgraded version from a previous model of an auto scan tool. This model is built for people who are looking to diagnosis specific ABS and SRS trouble codes from their engine. The easy-to-use system makes it a great tool for beginner users, but it is also loaded with more features than a basic scanner. No matter what type of technician you are, this device can suit your needs. Therefore, this tool is built for any beginner user or even for a more advanced DIYer or car enthusiast. 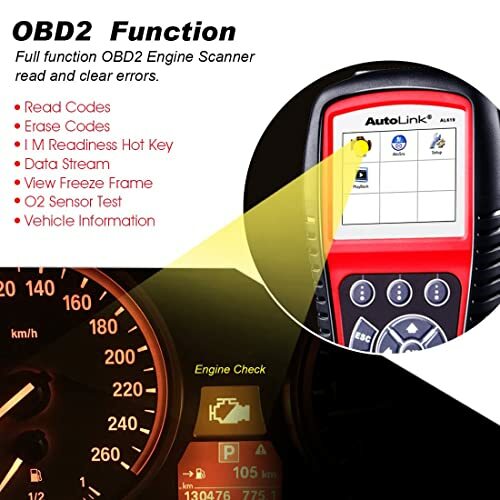 Autel al619 professional grade obd2 scanner. Are you struggling to find the meaning behind your malfunction indicator light? Is your car giving you endless grief without warning or explanation? If that is the case, you probably are avoiding the costs of a pricey mechanic and could benefit from the purchase of an automotive scan tool. However, that search doesn’t always come easy. To begin, you first want to find a reputable brand and then from there begin the endless search to find the perfect product. Lucky for you, our team is here to help guide you in that process. Autel is a highly reputable brand that makes reliable products to suit all your needs, without breaking the bank. All in all, Autel Al619 has proved this trust since its launch to the market.